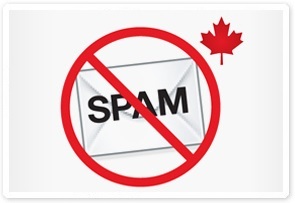 On July 1st, 2014, the Canadian Anti-Spam Legislation (CASL) came into effect. Enforced by a trio of federal agencies (the Canada Revenue Agency, the Canadian Radio and Telecommunications Commission (CRTC), and Industry Canada), the intent of the legislation is to “reduce the harmful effects of spam and related threats to electronic commerce” and work towards “a safer and more secure online marketplace,” according to the CRTC. CASL applies to Commercial Electronic Messaging, or “CEM”: any form of digital contact from an organization to an individual intended to engage them in a commercial activity. CEMs include emails, text or SMS messages, or instant messages. You may have noticed a lot of emails from organizations leading up to and just after July 1, 2014, asking you to confirm your agreement to receive email messages. 2) The second part of the exemption has to do with whether organizations have the consent of those to whom they are sending CEMs. During the 36-month transitional period, organizations may send CEMs to those from whom they have “implied consent”: that is, a pre-existing business or non-business relationship. For charities and non-profits, implied consent includes having made a donation. The primary purpose of the majority of the messages we send you is not to fundraise; instead, their goal is to inform you of the incredible impact your donations are making in the lives of children! We strive to provide you with regular, relevant and interesting updates on the work you are making possible and which is benefiting so many children, women and men around the world. One of the central ways we do that is through content we distribute through our monthly enewsletter. CFTC only sends messages to those who have given us permission by either donating or by asking specifically to subscribe to our emailing list. 2) CEMs must identify the name of the organization sending it, and must include its mailing address and one or more of the following: the phone number, email, or web address. 3) CEMs must include a way for recipients to easily unsubscribe from receiving messages in the future. You can easily unsubscribe any time with the process indicated on every email we send, though we hope you don’t as we appreciate your generous support and always look forward to being able to share the work you’ve so generously supported. Canadian Feed The Children will always respect your right to receive information that is interesting and informative to you, and will always respect your privacy. Please contact us if you have any comments or questions regarding CASL.